It doesn’t seem to matter how long we stand atop these glistening white hills, staring infinitely through the white abyss with the craggy dark mountains way off in the distance…we reach deep into our vocabulary hoping to pull out something beautiful, but we’re stunned to one word: Unbelievable. We find ourselves in the midst of one of the world’s greatest natural wonders and our minds are blown. 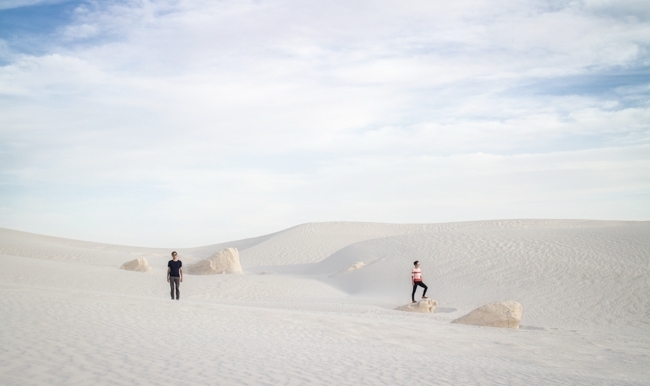 The fine grains of white sand are wavering across the desert floor and we’re frozen, as if our brains can’t compute what our senses are experiencing.  There’s no poetic verses flowing out of our mouths, no heightened sense of enlightenment, not even fantasies of Arabian royalty riding past on well adorned horses…it’s just the one simple word playing over and over: Unbelievable. 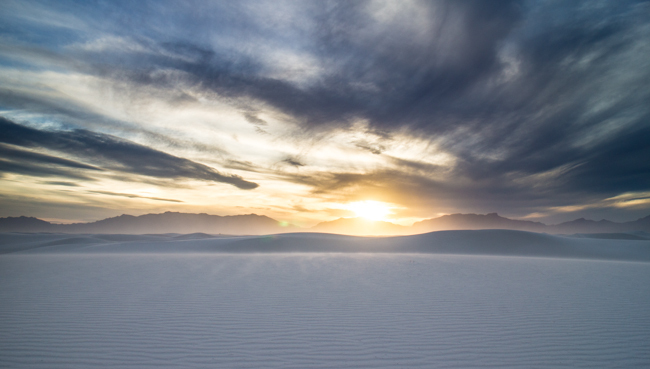 It’s our second visit to White Sands National Monument and we’re completely overwhelmed, again! The first visit we spent sledding down the tallest hills we could find and this visit we set off for a hike out to the end of the dunes on the Alkali Flat Trail. We expected a decent hike filled with “more of the same white hills”, but instead we had an experience that cannot be told with our limited vocabulary, it cannot be captured with even the most expensive cameras, it’s just one of those adventures you have lace up your hiking shoes and see-to-believe. Not to say those beautiful thoughts and words didn’t come later. Now, as we look back at our photographs it’s hard to believe we were there…or that such a place even exists. 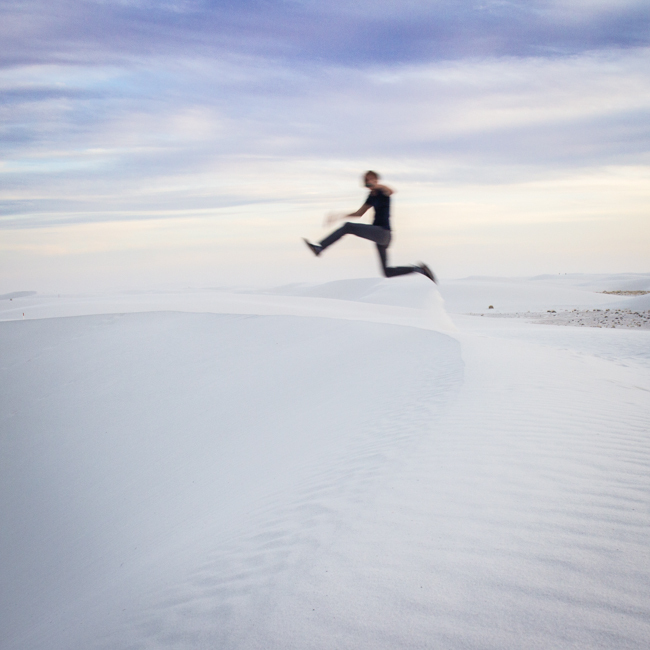 White Sands is one of those incredible places where you can physically see how time and wind work together to shape the world. Each wisp and gust of wind wipes away footprints, molds the ground around you and changes the distance landscape. Actually, if it wasn’t for the wind constantly tumbling and scratching the translucent grains of sand, this fascinating piece of land wouldn’t be white at all, it’d be clear! The white is simply stunning but can you imagine how other-worldly a desert of light reflecting translucent sand would look? It’s all unbelievably surreal…but real it is. 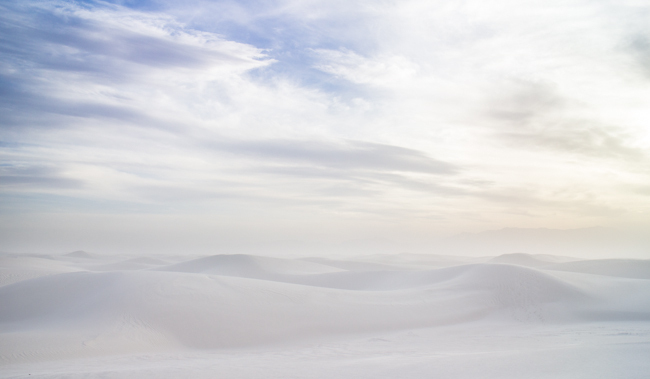 This wonderland of dazzling white waves can be found in the heart of the Tularosa Basin of New Mexico. 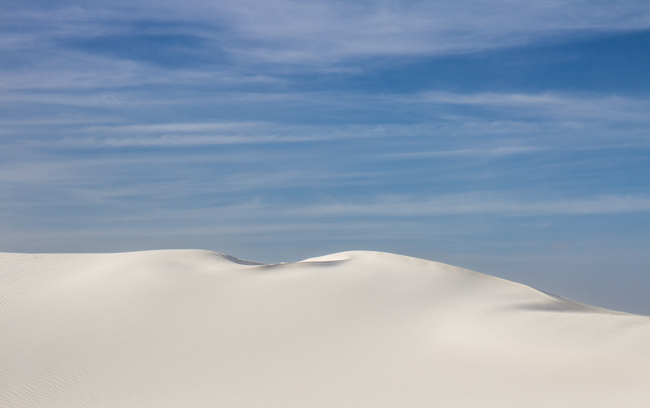 Giant dunes made of gypsum sand that stretch over 275 square miles of desert and reach up to 60 feet high. All this just a mere 48 miles away from our mountain-top forest camp in Cloudcroft, NM; but what a world away it is! Both our visits to this amazing place have been during winter and spring (this trip was in March) when visitation is low (so we had the place mostly to ourselves) and temperatures are nice and mild (between 65 & 80 degrees). 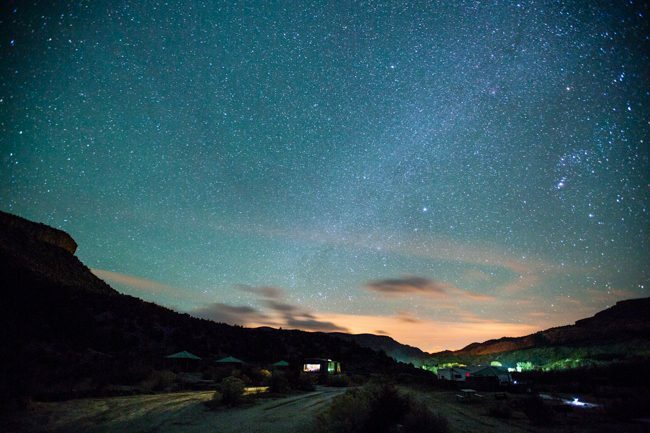 Sadly, that means we have missed out on one very cool event…White Sands by lunar light! Oh darn, I guess that means we’ll have to plan another visit…and maybe this time we’ll have a wax-poetic moment to share. Have you been to one of our worlds natural wonders or have a favorite natural spot? Tell us about it in the comments below! Hi guys!  I found your site through my RVing research. 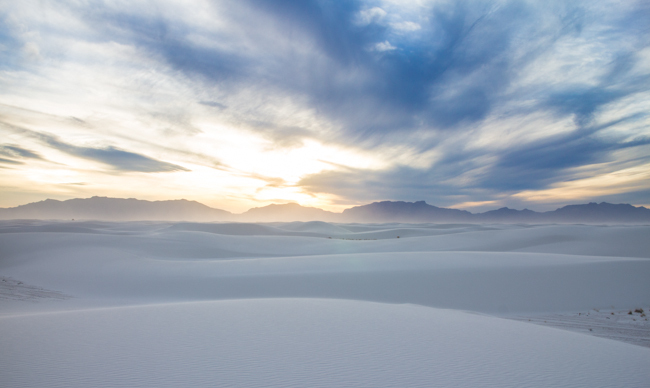 I’m a NPS park ranger moving from Miami to White Sands… just sold my popup and looking to buy my first motorhome. Your site has been super helpful! I love your pics as well… makes me really excited about my new home! Just wanted to say hi! 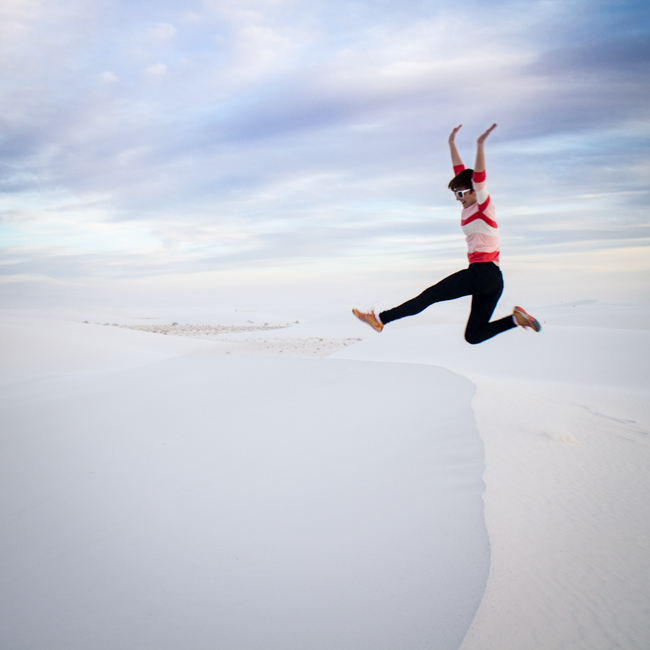 White sands is amazing! Make sure to spend some time in Cloudcroft on your days off. 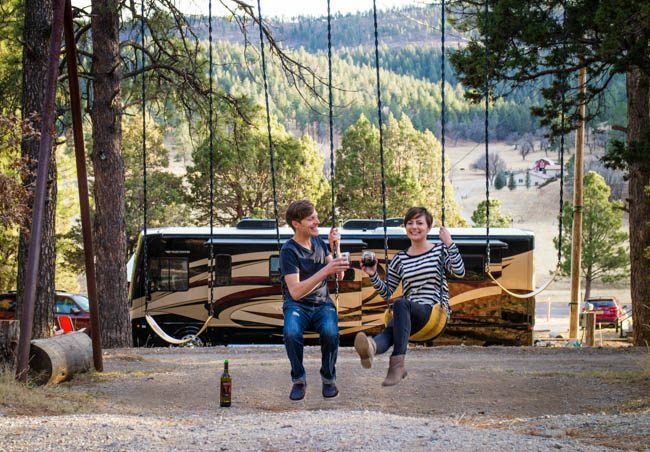 Check out Lazy Day Cabins and RV park there and tell Cody The Wynn’s sent you. He is an off roading fool who knows his mountains. Its a great place to get away from the heat and in the trees! 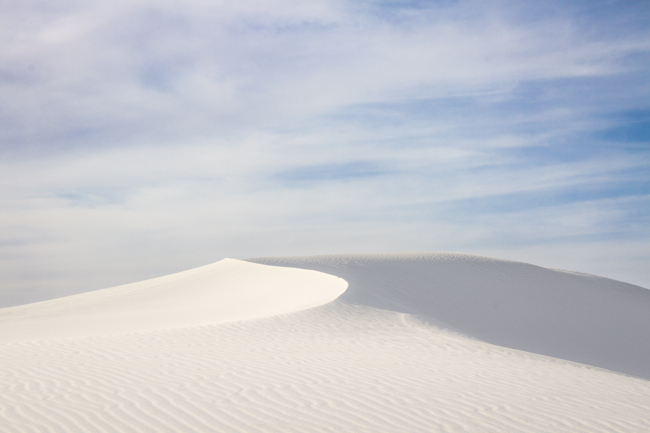 There is no campground at the White Sands National Monument. 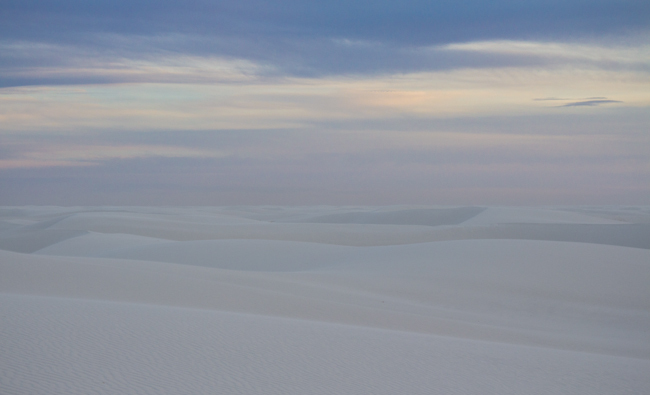 Wow, never had seen a photo nor looked into White Sands National Monument. I had always thought of it as a nuclear test site – and all the images of that you can imagine. 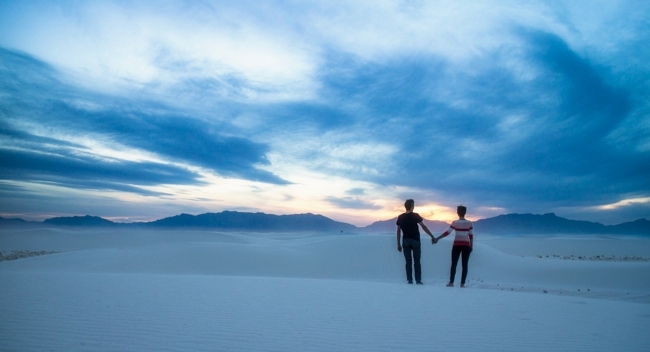 Just added White Sands to our list of must sees. hmmm, I know there are a lot of affordable state parks nearby, and there is a campground at White Sands, but we always stay up in the mountains of Cloudcroft (and I know there’s National Forest camping up there). 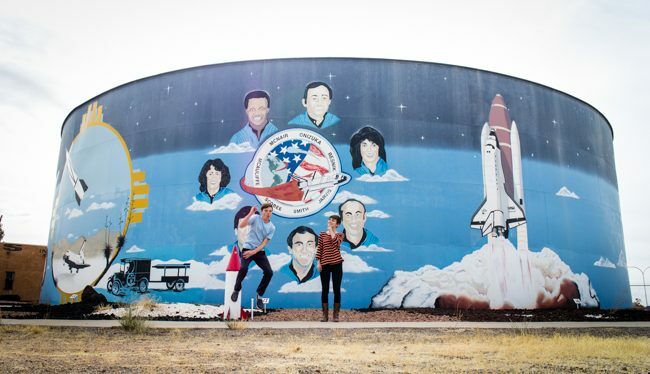 We lived in Las Cruces for 30 some years (I was there off and on from 1963 till 2008 – Peace Corps and Army) and I worked at White Sands Missile Range for 34 years. Our kids and their friends always went their on full moons when the National Monument is open till midnight. The area is truly magic under a full moon. My wife is from High Rolls, just above the tunnel on the way to Cloudcroft. I was at Holloman AFB, NM in the late ’70.s Favorite story, when the wife was a little baby, just crawling, they visited White Sands and took a lot of pictures with Debbie crawling around in her diaper. Grandma in North Dakota wrote back scolding her Mom ( son’s never do wrong ! !) what kind of Mom is she for letting that girl crawl around in the snow with no cloths on. It does take your breath away. Ha ha, that is a great story! Thanks so much for sharing. It is a magical place! 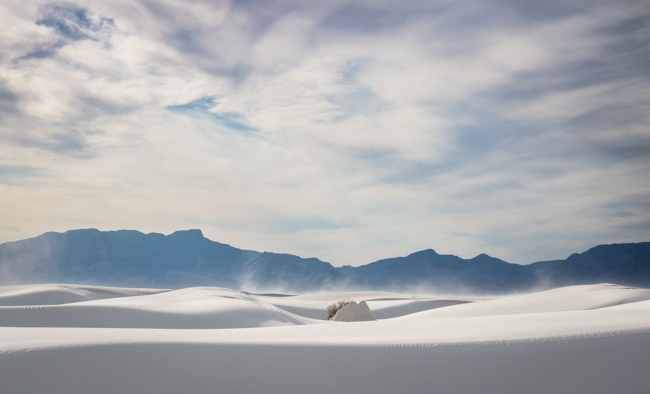 Our last visit to White Sands was in April following our visit to the Trinity Test Site. 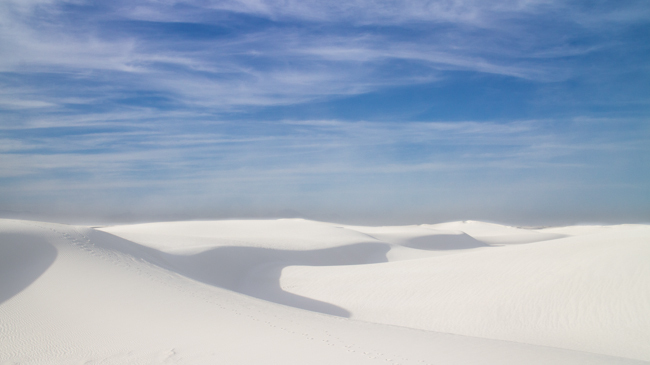 White Sands is one of those places that you can just stand and look around and be amazed. No words, just stand on top of a dune, look around, and listen. Incredible place. I’ll go there again one of these days. Thanks for sharing your adventures! Beautiful photos! I am adding this place to our list for a visit in the near future.. Looks amazing. Thanks for the info. And here I was thinking that our DoD White Sands Missile Range was all there was to it! Do they allow us civilian types tours of that part of the desert? Anyway, GREAT pictures and words to describe the hard to describe. You asked if readers had been to other wonders of the natural world and though it’s only a highway, I’ve traveled the length of it twice and loved everything about it including the white knuckle part along the bluffs north of SF so I nominate Highway 1 from the Olympic Peninsula in Washington all the way down the coast to San Diego. I think it’s one of the best drives in the world, especially the wilder California stretches, and everyone should make sure it’s on their bucket list. We have made that same drive and I agree, absolutely stunning! Big ditto on the magical pics! We missed this spot but we were agog at the Carlsbad Caverns. Not much above but a Magical Mystical Tour indeed beneath. We love Carlsbad and haven’t’ found another cave more spectacular! One of our faves for sure! There is a more beautiful cavern….and it’s in AZ. Kartchner Caverns near Benson. It is truly an amazing place. Both tours are worth the price of admission. Been there many times and have also enjoy caves in NM, SD, VA, OR and, of course, Mammoth Caves NP. Check out Kartchner! Fantasy photos never heard of the place but the next time we go through New Mexico we will go toit. Does a Mercia putouts list of what is on when. We enter usa next Nov I New Hampshire camping and want a route of places to go to, can stay six months. Beautiful! Hard to imagine this is in New Mexico. Very unique. 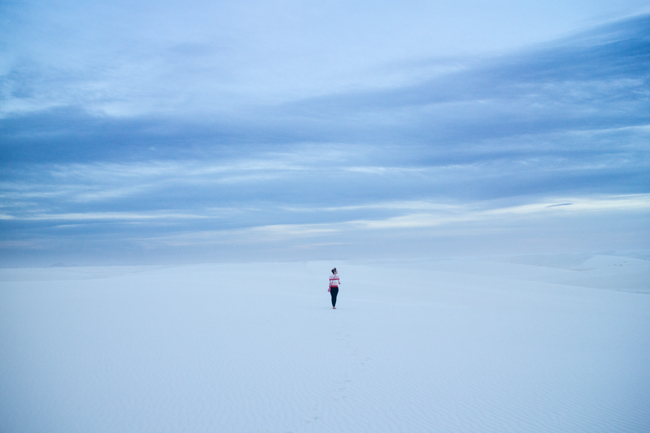 I assumed ” White Sands” was just a name………. So much more than just a name! Hope you make it there one day! Fantastic! Were you in awe as much as we were? I went to Niagra Falls with our youngest daughter and her chorus for a singing competition, and one of our day trips was to the Canadian side of the falls (because we were in Toronto). What an overwhelming sight!! I think the Canadian side is a bit more spectacular than the American side – you get a more comprehensive view and can actually go up and behind the falls in the rocks and look through them. Of course we all had yellow raincoats, but everyone still got wet. I remember the noise of the rushing waters being very loud. Beautiful place! I’ve also been to see Victoria Falls in Africa, but I don’t know if that’s one of the Wonders. At any rate, I slipped on the rocks there and cut my knee quite badly. So misty we couldn’t see a thing, and I didn’t get any good pictures. These pictures are stunning. I have a new item added to my bucket list of places to see. Thanks for sharing. Those snaps are insane!! Great reportage…..go Wynns! Awesome stuff guys! Beautiful shots! Have you guys been? I know you would love it…maybe a special trip for the lunar dinner?!? O my, that was dazzling! Thank you so much for sharing those amazing photos. 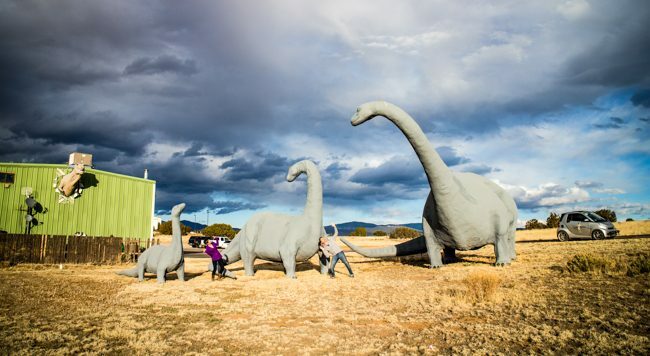 We have taken my husband’s parents (his mom recently passed at 101) to NM every year for the past 15 years, but we’ve never heard of this amazing place. Next month we are headed out to the Balloon Fest in Albuquerque. We’ll just have to look this up! http:carolsuestories.com/i-want-to-be-like-her. I was there decades ago and still remember the surreality of it. It was also totally quiet, which is rarely experienced, and that added to the whole otherworldliness of it. No birds, no traffic, no white noise, nothing. 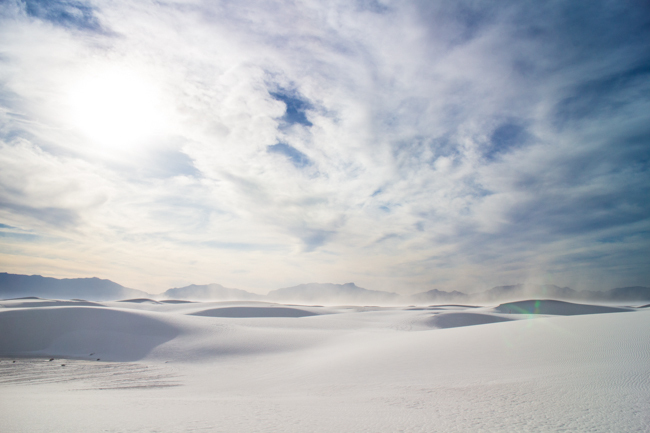 The beauty of the White Sands is its different every time. The funny thing is the first time we thought “it’s doesn’t hold a candle to the size of the Great Sand Dunes” but our second visit was just amazing!